China is the birthplace of dragon dance and lion dance. 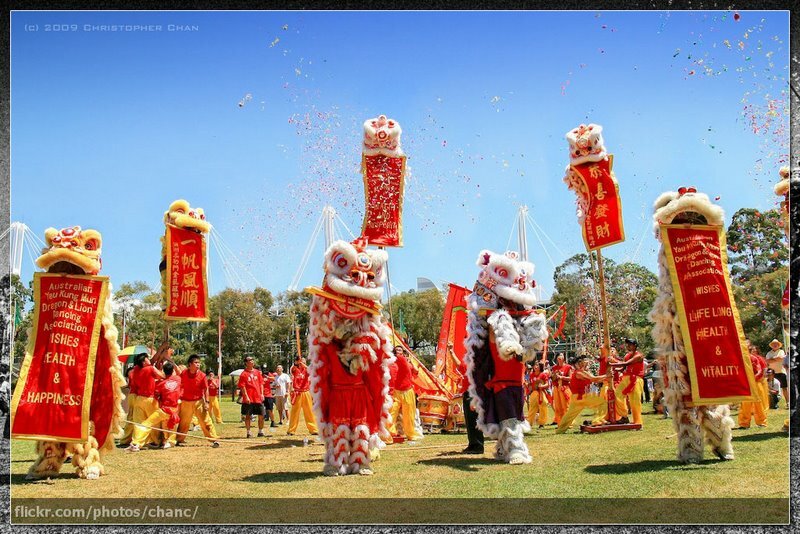 Since their inception around 2000 years ago, dragon/lion dance, has been loved by people of many ethnic groups. It is an extremely brilliant performance art and the symbol of Chinese culture among the Chinese communities worldwide. Dragon/lion dance was originally a spontaneous, entertaining, arbitrary traditional cultural and sports activity. After more than two thousand years of development, its form and style varies a lot among enormous number of different schools. 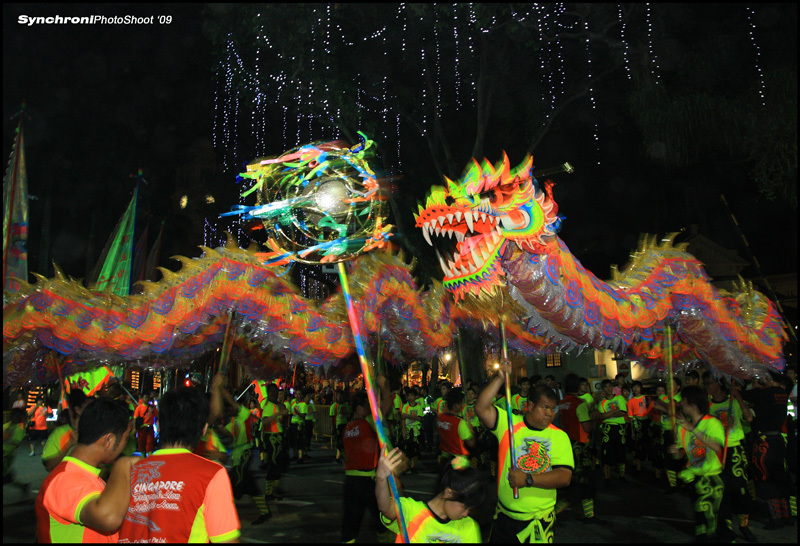 The dragon in dragon dance has more than 100 different kinds, such as grass dragon, cloth dragon, paper dragon, section dragon, basket dragon, light dragon, etc.. In the traditional practice, people believe dragon is the embodiment of good fortune. During festivals, many regions have the tradition of playing dragon dance. In the old days, if there is a long drought in some places, people play dragon dances to ask the God to rain. 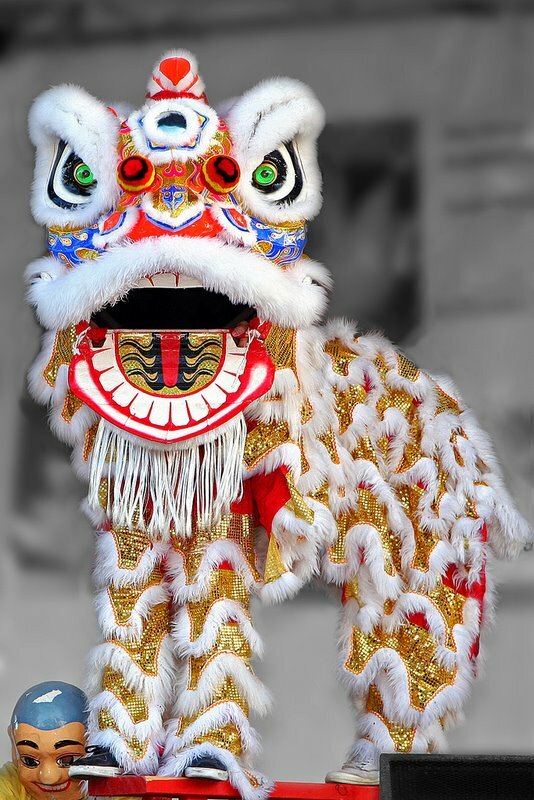 Lion dance can be categorized into two major styles: North Lion and South Lion. South Lions are large and have powerful moves. Together with magnificent drumbeat, South Lions are very exciting and encouraging. They are popular in Guangdong, Guangxi, Hong Kong, Macao and Singapore, etc.. The newest trend of lion dance is “South Lion North Dance”, which combines the advantages of two styles. Of course, to do jumping and rolling with the big size of a south lion, the players must be much more skilled. 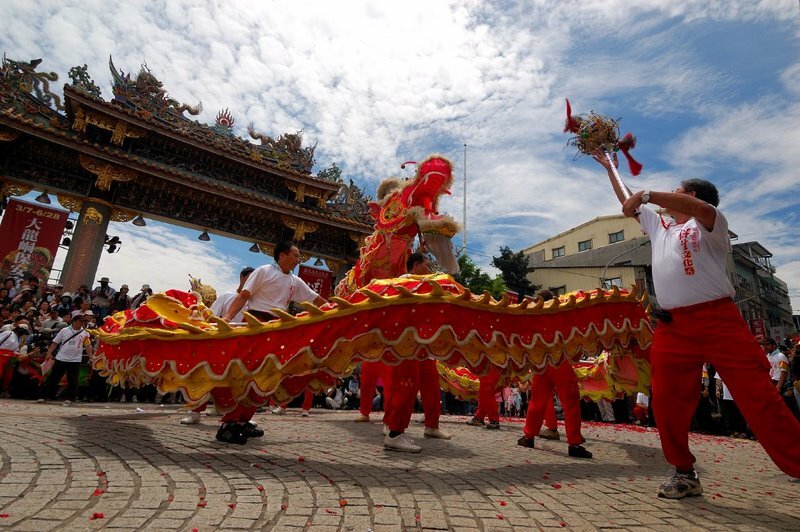 In recent centuries, Dragon/Lion dances spread all over the world with the Chinese immigrants. Over the past decade, in many countries and regions in Southeast Asia, dragon/lion dance has developed into competitive sports. International dragon/lion dance competitions become more and more popular year after year. Modern dragon/lion dance has evolved from a general performance art, into a rich cultural and sports activities with a combination of entertainment, festive, multi-functional sports and fitness. It begins to embark on a standardized, scientific, competitive and international sports development. To promote the dragon and lion dance sports in China as well as around the world, the State Sports General Administration established in 1995 the Chinese DragonLion Dance Association. It has actively organized couple of international and domestic competitions. On the other hand, the international community also set up “International Dragon-Lion Association”, with its headquarters in Beijing.